Back by popular demand, Breakfast with Santa returns! Guests can share their wish lists with Santa himself on Sunday, November 25, while enjoying a delicious breakfast. Families will have a jolly good time exploring Festival before it opens to the general public. The Festival of Trees holiday extravaganza will feature more than 700 community-crafted trees, wreaths and gingerbread houses designed by local artists, corporations and schools. 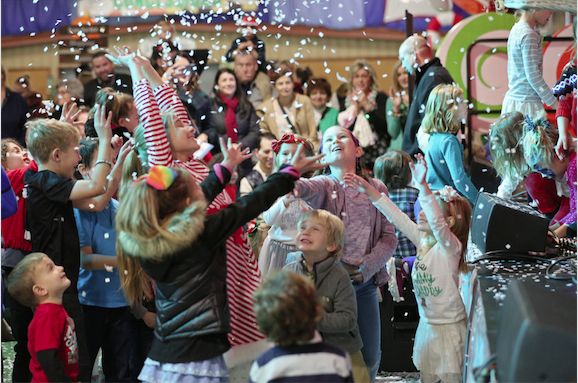 While wandering through the holiday spectacular, festival-goers will enjoy live hourly entertainment, guest holiday readings, and a visit to SantaLand. Santa’s ultimate theme park includes “reindeer” pony rides, carousel rides, carnival games, train rides, and new this year, a Lego area for young engineers and builders, plus so much more! In addition, with more than 100 gift boutiques and a silent auction, Festival of Trees is a one-stop-shop to mark off everything on your holiday gift list.